Rishi was born and raised in Vancouver and started working in real estate early. 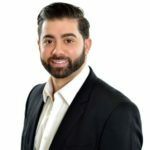 Although he officially joined this business in 2003, his passion for real estate was evident in his early childhood years. His great grasp and passion of the market allowed him to work with his father creating feature sheets and working on marketing for the business while he was still in school. He was constantly curious about the ever-changing market. Since joining real estate, Rishi has been a recipient of the Top 25 Award and Medallion Club numerous times. He was a Board of Director at the Real Estate Board of Greater Vancouver for 4 consecutive years along with the President of the Vancouver East Division. Currently Rishi sits on the Professional Standards Committee at the Real Estate Board of Greater Vancouver. When not selling real estate, Rishi enjoys a break at the local gym, a good book, and playing golf.